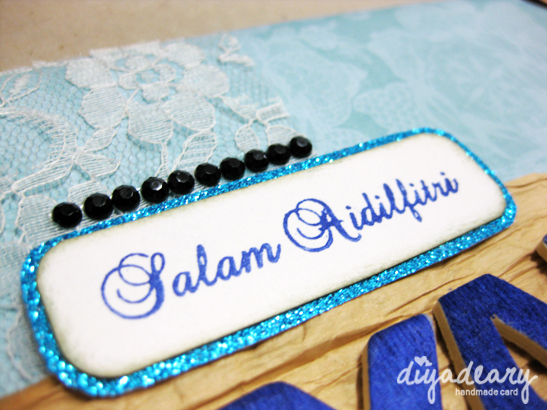 My customer requested a raya card inspired by The Green Raya but wished it to be in blue color. 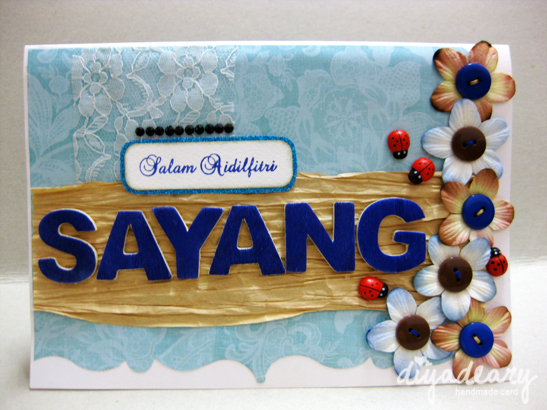 Since this card was for her boyfriend, I made the card to look more masculine, hence the blue and brown color combinations. 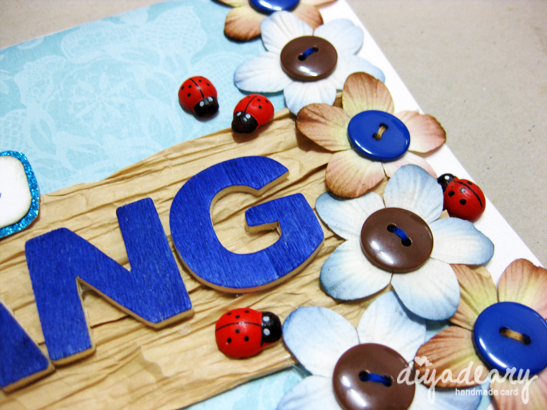 I also used ladybirds as a part of the decorations instead of paper butterflies from the original design. Hope the boyfriend likes the card!